Every lady needs a safe place to keep her jewelry. 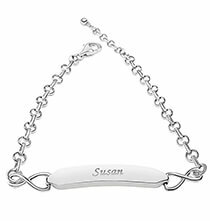 Give the woman in your life a beautiful and personalized place to keep her accessories with the selection of jewelry gifts for her from PersonalizedThings by Exposures. 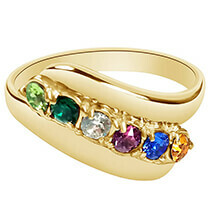 These women’s jewelry gifts include personalized jewelry boxes, keepsake boxes and even customized jewelry items. 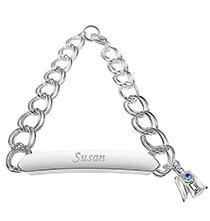 For instance, you can choose a beautiful personalized necklace with a unique pendant design and make it extra-special by including a custom touch. Each piece can be customized with the gift recipient’s name, initials or other custom text to make the gift special and personal. 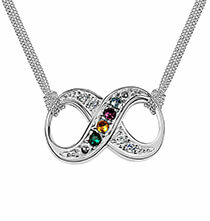 Browse our collection to find lovely personalized necklaces for her birthday, anniversary or other special occasion. 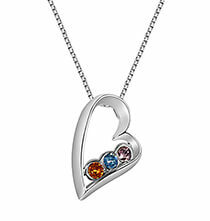 Use these jewelry gifts to commemorate a special occasion or simply surprise the lucky lady in your life. 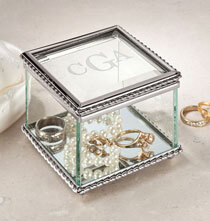 Some of our most popular and versatile gifts for women are our personalized jewelry boxes and keepsake boxes. 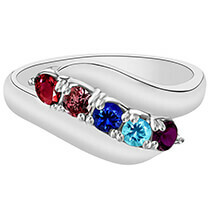 These come in several different styles and sizes to provide plenty of options to suit every taste. Try one of our glass treasure boxes or memory boxes for a beautiful storage option that displays its contents even when the lid is closed. If you’re celebrating a religious occasion, our blessings box or mazel tov treasure box makes a great gift option. 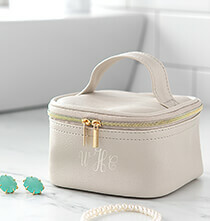 Other monogrammed jewelry boxes include small beaded boxes, pewter boxes, antique-inspired keepsake boxes and traditional wooden jewelry boxes. 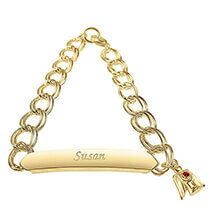 Each of these women’s jewelry box options can be customized with names, dates and other personal text. 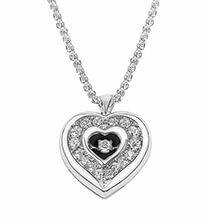 If you prefer to give your lucky lady the gift of personalized jewelry, we also carry a selection of personalized necklaces featuring personalized pendants for her. 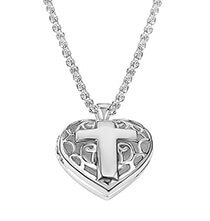 Some of our personalized necklace selections feature lockets while others include other pendant styles. 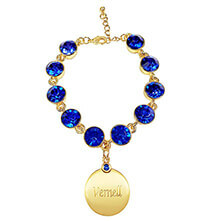 Pair this personalized jewelry with a custom engraved compact or a keychain. 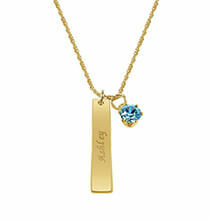 Give mom or grandmother a beautiful birthstone personalized necklace, a memorable gift she can treasure forever. These necklaces feature elegant design details and include gleaming stones with colors that represent the birth month of each child (the number of stones per necklace varies). Coin necklaces are another unique style that blends a personalized disc with an authentic mint coin for a lovely conversation piece. A three-piece personalized dresser set can pair very nicely with a custom jewelry box. If your wife, mother or sister is an avid traveler, you may consider giving the gift of organized travel with a custom photo and jewelry organizer. This case features several zippered pouches that keep important accessories and mementos organized and accessible during a trip.